This is an overview of a talk I gave to maths pupils at Park House School, Newbury , together with references for further study following the talk. I later gave a shortened version of the talk to pupils at Sir William Borlase's Grammar School, Marlow. 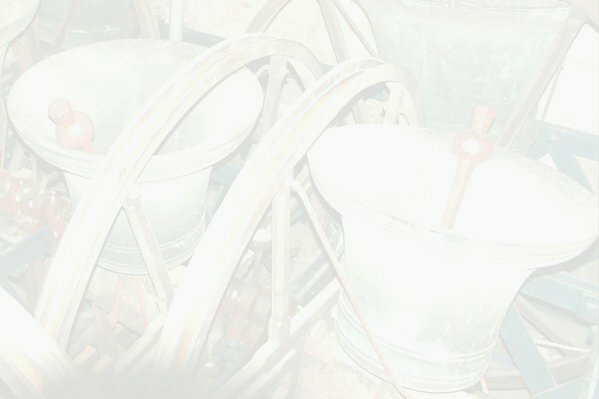 Read the article about the talk that I wrote for The Ringing World. If you would like a similar talk, please contact me . The talk explains the mathematical underpinning of change ringing, and in the process introduces many mathematical concepts that have more widespread applicability, including: permutations, factorials, symbolic transformations, groups and group theory, Hamiltonian circuits, symmetry and the Fibonacci series. A different way of looking – Spatial models Describe the mapping of rows to spatial models for N=3, 4, 5. Show the models. – Related work Summarise the contents of some even earlier work with a tantalising end. – Other approaches Describe how many people have mapped leads of methods to spatial models. Music – Musical effects on higher numbers Demonstrate progression from mainly sequential to mainly alternating music on 12. Exercise – Walk plain hunt on 8 Pupils, each with a bell, swap places while ringing, to emulate the effect of changing. Conclusion – Wind up Point to list of references. Anecdote about ringing on TV. – Questions .